The team at Signature Smiles has helped patients in and around the Woodinville area with various dental care needs. 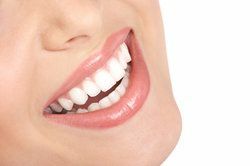 Sometimes this means advanced cosmetic dentistry treatments involving porcelain veneers, while other times this means general and preventative treatments and checkups. When a patient suffers from multiple dental problems that are predominantly aesthetic in nature, the best option tends to be a smile makeover. Let's take a moment to consider how smile makeovers work and which treatments might help you. Smile makeovers are combinations of cosmetic dentistry procedures that are designed to address multifaceted or complicated problems that affect the aesthetics of your smile. All smile makeovers are carefully customized to meet the needs of the patient since no two smiles are ever alike. Below are some of the most popular smile makeover treatments that are performed. If you have teeth that are stained or discolored, professional teeth whitening can restore the overall look and luster of your smile. Even deep-set stains can be bleached away thanks to multiple teeth whitening sessions carefully planned and spaced apart. Professional teeth whitening at the dentist's office is far more effective than the at-home kits that you can purchase over the counter at the local store. Dental bonding uses tooth-colored resins that are painted onto the teeth in order to conceal various kinds of dental imperfections, such as chips, cracks, and stains. The bonding material is strong and able to withstand basic wear and tear. Porcelain veneers are among the most versatile treatment options for aesthetic flaws of various kinds. These thin shells of dental ceramic mask problems from view and blend in seamlessly with your natural tooth structure. Using porcelain veneers, dentists are able to treat chips, cracks, deep stains, tooth gaps, and even minor dental misalignments. More serious cases of tooth misalignment will require actual orthodontic care rather than the use of porcelain veneers. This may involve traditional braces or Invisalign, an alternative to traditional braces that uses clear plastic aligners. The exact nature of your orthodontic treatment can be discussed during the consultation process. The teeth aren't the only target in a smile makeover. The condition and the appearance of your gums can also make a major difference when it comes to overall smile aesthetics. This is where gum reshaping and contouring is an important concern. During a gum shaping procedure, special dental lasers are used in order to remove and revise the existing gumline, achieving a more balanced appearance in the process. If you are missing a tooth or multiple teeth, you know just how much the tooth gaps can affect your smile. There are many different options to address varying degrees of tooth loss, from dental bridges to partial or full dentures. Dental implants may also be an option to consider, which are artificial tooth roots surgically embedded into the jawbone and gum tissue. If you are interested in undergoing a smile makeover and would like additional information about what procedures might be best for you, be sure to contact our cosmetic dentistry center today. We at Signature Smiles look forward to your visit and helping you make the best possible decisions about your dental health and wellness.